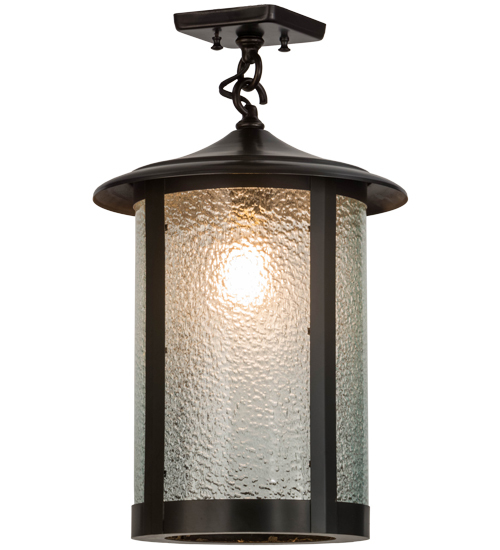 Description: Custom crafted of Solid Brass, this Craftsman Signature cylindrical shaped lantern projects ambient light through Ice Glazed art glass. The frame and hardware are featured in a stunning Craftsman Brown finish. The fixture is handmade by Meyda artisans in our manufacturing facility in Yorkville, NY and ideal for outdoor and indoor applications. Custom designs, styles, sizes and dimmable energy-efficient lamping options are available.